Hoppers are Back on the Menu. Time Your Sessions and Reap the Rewards. We all love summer dry fly fishing but who doesn’t welcome late summer and the hordes of grasshoppers that come with it. 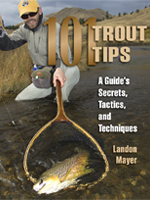 Here, Simms Pro Team Member, Landon Mayer takes a chapter from his book, 101 Trout Tips, A Guide’s Secrets, Tactics and Techniques, (Headwaters/Stackpole Books) that will help you draw more bites while drifting slabs of foam and rubber legs down the banks this summer. Problem: I am using hoppers with limited success. Solution: Try timing hopper activity to the influence of weather and man. Timing is everything when it comes to fishing big food supplies such as hoppers. 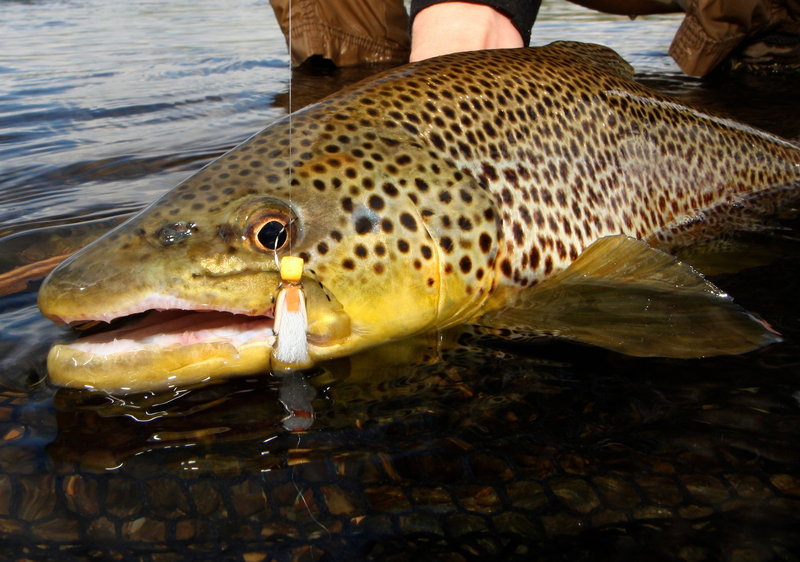 Yes, you can randomly tie on a big-bodied fly and just try it, but this approach rarely works. The best way to time a hopper bite is when the food supply is forced off the bank. I wait for heavy wind and, instead of placing the wind at my back for ease of casting, I face it head on. This allows me to present my flies to the bank from which the hoppers are being blown into the water. When matched with a steeple cast, you can cut through 30-mile-an-hour winds. I soon realized after spending time with my good friend Eric Mondragon in Montana that humans could also cause a hopper feeding frenzy. When farmers or landowners cut the hay or grass in their fields, the big-legged flyers are forced to jump ship and will land on the water’s edge, causing the trout to seek their next meal. The end of a hatch sequence—for example, a “dead time” in complex hatches (from roughly 2 p.m. to 6 p.m.)—is an excellent time to switch to a hopper rig. Trout are still used to looking up and may take a bigger attractor in the absence of the hatch. Also, the end of a hatch season, from August to October on many waterways, can produce great hopper conditions. Topic(s) Fly Fishing, Grasshopper Pattern, Hopper, Landon Mayer Fly Fishing by Landon Mayer. Bookmark the permalink.